Public services across South Yorkshire are facing more than £50 million of Government cuts next year – branded savage by the Mayor of Doncaster. Doncaster Council alone is expected to see a reduction in spending power of about £8.2m – or 3 per cent – under figures announced by the Government yesterday. Ros Jones, Mayor of Doncaster, said: “The Government has confirmed they will continue to impose savage and disproportionate cuts on Doncaster. “Through our robust financial planning we were ahead of the game in terms of preparing ourselves for these cuts in funding, which equate to more than 50 per cent by the end of 2016/17. “We have identified £109m of budget savings, which is on top of the £93m we have already saved due to cuts in previous years. Rosie Winterton, Labour MP for Doncaster Central, said: “This is an extremely unfair settlement for Doncaster which has already had to make severe cuts – more will now be on the way. 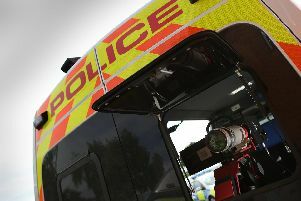 Cash-strapped South Yorkshire Police is to lose almost £10m from April, the Home Office has confirmed, while South Yorkshire Fire & Rescue faces a cut of £2.3m in its funding. The three other councils across the county – Sheffield, Rotherham and Barnsley – are braced for a combined blow of £34m in cuts, each also higher than the national average reduction of 1.8 per cent, following the Local Government Settlement announcement in the Commons. South Yorkshire Police is already in the process of trying to save £42m by 2016, which has seen police officer and support staff numbers slashed and the axing of the cold case murder review team. Chief Superintendent David Hartley this year warned the force was reaching a ‘tipping point’ and said there will ‘ultimately be an adverse impact’ on the service. Neil Bowles, chairman of the South Yorkshire Police Federation, said of the latest announcement: “Officers are more and more stressed and sick levels are going through the roof. Basically, we can’t cope. “It is a kick in the teeth, but we did think more cuts would come and we had plans in place. The Reverend Dr Alan Billings, South Yorkshire police and crime commissioner, said the force was still awaiting final details of the grant allocations, but the reduction was ‘substantial’ and ‘larger than anticipated’. He said: “It presents a real challenge for us because all the savings that can be made without impacting on front-line policing have largely been made in previous years. But the Government said the reduction was the lowest in this Parliament, councils with the most need had been prioritised, and it left authorities with ‘considerable total spending power’.